The migration crisis continue to exacerbate disagreements within European Union at a very rapid pace and highlights deep and rival geopolitical representations between European nations but also within nations themselves on the finality of the European project. This crisis is increasingly drifting towards a struggle between Euro-utopists defending an ultra-liberal and "open border" integrated Europe and Euro-realists in favour of the preservation of European nation-states. Behind is at stake the power hierarchy between nations within the European Union and in the world. The EU summit of the 7/8th of March dedicated to the migration crisis was a failure as there was no agreement on how to proceed between Member States faced with two contradictory proposals : the "Merkel plan " and the "Tusk plan". The initial Tusk plan was based on a negotiation between EU ambassadors and had prepared a declaration that was expected to be adopted at the summit. The EU head of states were supposed to stress that they would “close the Balkans route in the coming days,” announcing and end to the chaotic flows of refugees. -Turkey would accept to take back all illegal migrants from Greece. -For every Syrian readmitted by Turkey from Greek islands, another Syrian will be resettled from Turkey to the EU Member States, ( the “one for one” formula). -In exchange, the EU would cover the costs of the readmission process, pay an additional 3 billion (EUR) for refugees in Turkey living outside the camps, cover the costs of readmission, accelerate the liberalization of visas for Turkish nationals by June of this year, open five new negotiation chapters as part of Turkey’s EU accession negotiations. The Chancellor Angela Merkel and the Turkish Foreign minister Davutoglu negotiated this deal with the EU Commission and the Dutch presidency before the EU summit to exert a pressure, close to blackmail, on other EU Member States. Angela Merkel has so far still refused to announce any quota or cap to migration flows. As the number of migrants was piling up in the Balkans, without the possibility to sent them back to Turkey, this tactical posture of "fait accompli" was made to force EU Member States to accept in the end a ventilation of migrants in a compulsory way. But this plan failed so far. With the "new deal", it goes even further because behind the claim to send back illegal migrants from Greece to Turkey, it proposes a direct and legal flow of migration from Turkey to EU and their ventilation in different Member States. If implemented, this plan would mean for Germany, a de facto greater say on national borders of other Members States. This would be exerted through a gain of competence at EU level who would manage the direct and legal flow of migrants directly from Turkey towards Member States, to feed the migrations needs of Germany as an economic power and redistribute the overflow to other countries in a compulsory way. In the shorter term, Angela Merkel also needed to send a symbolic signal to German voters deeply distrustful of the situation that the migration flow started to be under control before the elections on the 13th of march in three Länder. A the same time, Angela Merkel tried to avoid any legitimization of the closure of national borders from other Central European countries like Hungary and Austria, and hitting directly her liberal "no border " ideology, and posture of "moral superiority". The "Merkel plan" deal was negotiated at "close doors" before the EU summit, with the exclusion of France. This episode is a dangerous precedent and will seriously damage further the Franco German axis who has been far at the geopolitical heart of the European project. If this "fait accompli" is accepted by the French government and other EU Member States, it is equivalent to a direct reinforcement of pyramidal power in favour of Germany in the EU system. The German government is taking advantage of the EU Institutions for his own interests in a exclusive way and this led to an unbalanced deal. So far, the rule in EU negotiations was to find a Franco-German political agreement before any deal hammered at EU level. The necessity of Franco-German balance in the European institutions has been badly damage and reinforce the new Franco-German rivalry on the finality of the European project and worsening since German unification. 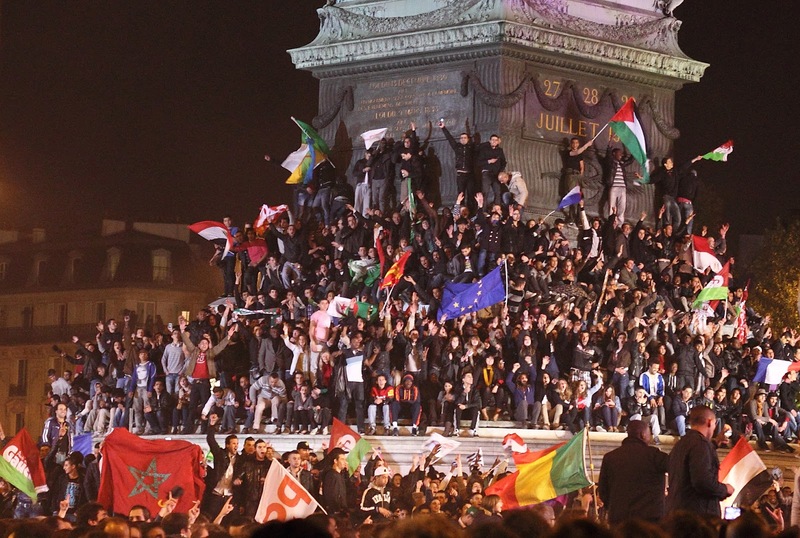 It is important though to stress that the French government is as guilty as the German government : the current and previous French governments are largely responsible for the destabilization of the Middle East and North African region with their regime change policies in alliance with the United States. It resulted in the destruction of states modelled on the nationalist and Laic Arab nations-states and being replaced by the rise of Islamic fundamentalist factions or civil war provoking huge migrations flows. The official communication line after the EU summit (7/8th of march) reinforces the previous interpretation. The EU summit actually did not endorse the Turkish-German propositions and failed to have consensus as the president of Hungary Victor Orban vetoed the proposals, France did not accept visa liberalization, Cyprus did not accept the opening of new chapters. But the EU staff surprisingly announced a "breakthrough" or a "done deal". This was aimed at forcing Members States to accept this German-Turkish deal. The so-called deal was in reality illusory but this means that EU institutions in the migration question de facto does not represent the whole of EU, but only Germany, the Dutch presidency, and surprisingly, Turkish interests. The offer of visa liberalization to Turkish nationals is also a result from president Erdogan forcing EU Member States to make a choice between Syrian migrants (mixed with migrants from North Africa, Middle East and South-West Asia,) or 75 millions potential migrants from Turkey. The Turkish minorities in Europe are seen by president Erdogan as a factor of influence and this is why he never lost the occasion to stress that ethnic Turks abroad should refuse assimilation. This goes obviously against the French model of assimilation. The finality of Turkish membership into EU is also absurd. It would de facto transform European Union in a German-Turkish Europe and this would be unacceptable to other Member States, especially France. 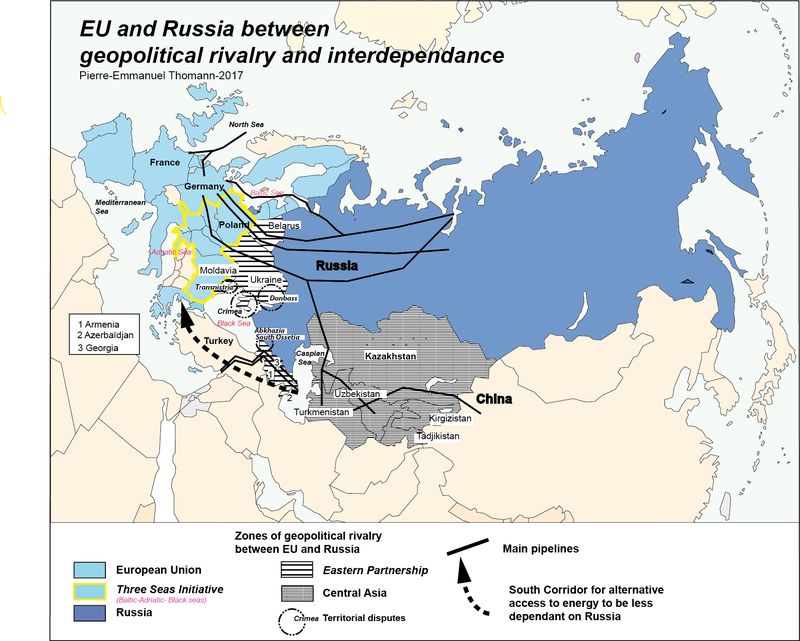 It would be however match geopolitical goals of the United States eager to expand EU to all countries in Europe and Eurasia, except Russia, for their own geostrategic goal aimed at the geopolitical fragmentation of Eurasian continent. The Chancellor Angela Merkel does not want to admit that the most efficient decision to curb migrations flows, in contradiction with her initial "welcoming refugees" policy, was the decision to close again national borders as did Victor Orban followed by other Central European and Balkan states. As part of the "communication war", Chancelor Angela Merkel is also pretending to curb the illegal migration flows but refuses at the same time a necessary cap or migrations quotas. Her real objective is the reduction of illegal crossing at Member States borders to rescue the open border system within the Schengen space and make accept from EU Members-States and citizens, legal, constant and compulsory flows of immigration. Migrants would cross the borders in a orderly way and would be dispatched among EU Members-States under the supervision of the EU Commission. In terms of communication, "immigrationnist" governments pretend to lower in the future the huge migration flows (like the million entering Germany in 2015) and then it is easier to convince the population to accept smaller flows but constant and compulsory. The EU institutional system as a whole share the same finality of European Union as Germany : a liberal and regulated "open border" economic power as a "sub-regional" entity of globalization, mixed with a normative and "moralist" approach to international relations. In this context of European power struggle, the acceptance of the German proposals would de facto imply a stronger transfer of power towards the EU level in accordance with this German ideal finality of the European Union. It is also necessary to trace the source of the "Merkel plan" to understand the real geopolitical dimension of this existential crisis for the European Union. The Dutch EU presidency has underlined its primary objective to find a solution to the refugee crisis. The "Merkel plan" actually comes initially from the Dutch government : the initial deal proposed by the Dutch presidency was to propose that a voluntary group of EU countries (Germany, Netherlands, Austria, Sweden, Belgium) accept regulated and regular flows of migrants from Turkey (around 250 000 to 500 000) in exchange of an acceptance from Turkey to take back illegal immigrants crossing the Mediterranean Sea to Greece. The objective of this proposal was to show to citizens in different EU member-states that they were ready to tackle the crisis and curb the illegal migrations flows, as more and more citizens and opposition parties are opposed to this mass immigration. But the real objective was to open a legal and compulsory immigration flow in accordance with their liberal, multiculturalist and regulated "open border" Europe. Netherlands like Germany see themselves mainly as economic powers and their finality of the European Union is mainly a normative entity as a sub-regional market of the globalization at world level, requiring regulated but still largely open borders to financial, energetic and labour market flows. There were also rumours circulating about a plan B from the Dutch : the creation a mini-Schengen between Germany, Netherlands, Sweden, Belgium in case of failure to find a solution to the flows between Greece and Turkey. This proposition looked like a plan to put pressure from Northern countries on Greece and Italy to force them to accept a reinforcement of external borders with EU supervision (With Frontex) and to build hot spots (refugees camps) in order to transfer progressively the control of national borders to EU level. 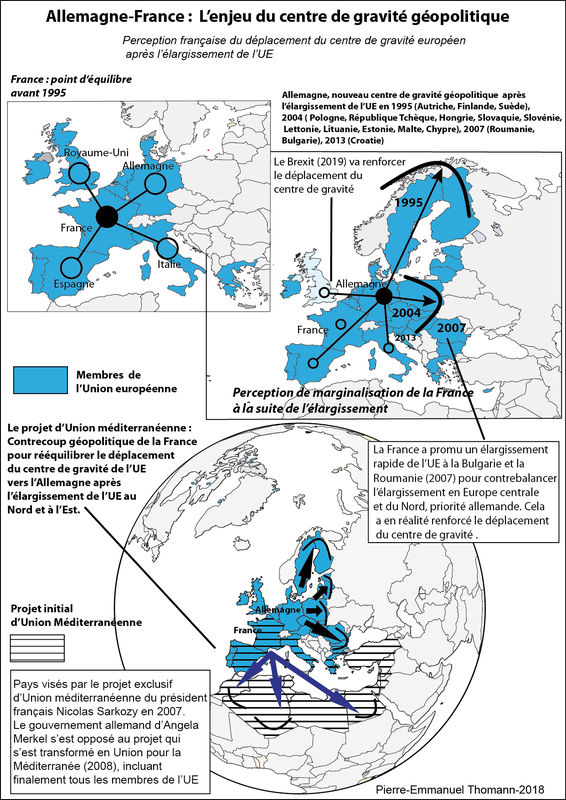 The Northern European countries were also largely responsible for these migration flows since Germany and Sweden announced in the first place the opening of their borders and their acceptance refugees without prior registration (they abandoned Dublin convention), and then tried to put the blame on Greece and Italy for the creation of these mass migration flows. The problem with such a proposal is that its implementation would have resulted in cutting the whole Balkan region from Schengen, and accelerate the closure of the external border of Schengen more North in another Balkan country. The migrants/refugees would have been stranded in the whole Balkan region : this could have led to chaos and frictions between the migrants and local population in already weak countries in terms of economy and highly volatile politically. Riots at large scale and even conflicts between countries from the Balkans would make the countries advocating mini-Schengen responsible for that chaos and EU would be accused of lacking solidarity with Greece and other Balkan countries. As the EU was obviously unable to agree to any plan, countries in Central Europe and the Balkans (Austria, Hungary, Serbia, Croatia, Slovenia, Macedonia) found a common solution in the closure of national borders to cut the Balkan migration route. It must be stressed that Austria switched sides. This common understanding of the crisis is reactivating the common geopolitical space and solidarity of the former Austro-Hungarian-empire (plus Serbia), and clearly splitting from the German line. These countries are in the first line of the crisis for geographical reasons, and where in the past all invaded by the Ottoman empire (till the gates of Vienna). The direct result is that migrants are now blocked in Greece only and wait to be dispatched to EU Member States, if they agree on a redistribution plan. The central role of a think tank named "European Stability Initiative"
It is also very interesting to examine who was at the source of the "Dutch proposal" becoming the "Merkel plan". The main source of this idea is a think tank named the "European stability initiative ". They claim themselves to be at the source of the Dutch presidency ideas and the "Merkel plan"  as soon as October 2015. They describe themselves as "Europe's think tank for South East Europe and enlargement – films and reports on the Balkans, Turkey, Central Europe and the South Caucasus." We can find their geopolitical goals and proposals on their website ("European Stability Initiative" website: http://www.esiweb.org/). The main promoter and financial support is also a good indicator of the deep geopolitical and ideological dimension of the crisis. This think tank is financed by Georges Soros Open society foundation as a "core" supporter, but also the European Commission, and other American, German, Swedish, Canadian, Austrian and other Western foundations specialized in "democracy promotion" (in the "donor" part of the site). Georges Soros supports multiculturalist policies and mass migration into Europe and stressed that Victor Orban plan "treats the protection of national borders as the objective and the refugees as an obstacle,” when "Our plan treats the protection of refugees as the objective and national borders as the obstacle.” The president of Hungary Victor Orban declared that "His name is perhaps the strongest example of those who support anything that weakens nation states, they support everything that changes the traditional European lifestyle". Even if this think tank insists more on the "humanitarian dimension" of the crisis, the European stability Initiative is characterized by strong ideological and geopolitical preferences. The director of the European stability Initiative at the origin of the "Merkel plan", Gerald Knaus, a former Open Society associates from Georges Soros, stressed that if Angela Merkel does not succeed in finding a solution similar to the solution he proposed, and integrated in the Dutch presidency, then "political forces wanting to curb asylum, against migrants, against EU, against Turkey, for Putin, and against Muslims will be reinforced". As part of the Merkel plan, published on their internet site (The Merkel Plan – A proposal for the Syrian refugee crisis – 4 October 2015) the think tank also reveals its geopolitical objectives in accordance with Turkish interests . Why would it be in Turkey's interest to help Germany in this way? For many years, Turkey has resisted taking back third-country nationals who crossed its borders into Greece, despite a readmission agreement. Why would Turkey act differently now? In fact, this agreement could make a significant contribution to Turkey's security. In recent times, a resurgent Russia has been revising borders, annexing territories and supporting separatists in the northern Black Sea. It has moved its military into annexed territories in the Southern Caucasus. Now, it has launched a major military intervention on Turkey's southern border, attacking groups that the US and Turkey have long supported. Turkey today finds itself surrounded by hostile states and armed groups, in a more precarious strategic position than at any time since the end of the Cold War. At such a time, good relations with Europe are a key anchor for Turkish security. The rise of an anti-Muslim, pro-Putin far right in European politics should therefore be a cause for real concern. It brings the prospect of EU politics moving in the direction of aligned its foreign policy more with the Kremlin." The focus of the think tank on the interest of Turkey is in accordance with the "American Europe" model. The United States systematically declared that European Union should be extended to Turkey, according to geostrategic objectives of the United States and its close Euro-Atlanticist allies. They want to prevent the emergence of a "European Europe" on a continental scale with a closer relationship with Russia and similar to the vision of general de Gaulle (Europe from Atlantic to Ural). The underlying objective of the European Stability Initiative is obviously to match Turkish and American objectives. and the migrations crisis is an opportunity to accelerate their vision. Their narrative is also based on a manipulative tactic to discredit any political alternative accused of being "Islamophobic", "far right extremist" and "pro-Putin" fascist. Contrary to these accusations, growing scepticism from citizens in EU Member States to the mass migration flows are supported in reality by political parties and movements based on patriotic, conservative and euro-realist views shared by citizens attached to the nation state model and the preservation of the European civilization. They express deep scepticism towards the current evolution of Europe leading to chaos and internal conflicts. Their ideas are in accordance with Gaullist ideas and totally different from "neo-fascist" ideologies. This "Reductio ad Hitlerum" narrative on the internet site of the European Stability Initiative " think tank is dishonest, but reveals more profound geopolitical rival models at European and global level. The geopolitical dimension of the migration crisis at world level : an "American Europe" versus "European Europe"
-On one side, the liberal right and social democrats political parties are defending in this crisis a liberal and Atlanticist model of EU, based on a "open society" model. They want to keep borders open for commerce, finance and migration flows, but at the same time try to regulate more the migration flows for security reasons and under pressure from their electorate (but they still want to preserve continuous immigration). The governments of Germany (coalition of Christian democrats and social democrats), Netherlands (coalition of Liberals and social democrats) and Sweden (social democrats) have a common interest in defending a liberal, "open border" and immigrationist EU. -On the other side, more nationalist and patriotic parties are willing to close the border to stop migration flows. These growing flows are seen as a migratory invasion rising security threats (Paris Islamists terrorist attacks) and cultural clashes between local populations and Muslim migrants (Cologne mass assaults). They anticipate the future conflicts on EU Member State territories in the context of a global conflict of civilization. On can also make the hypothesis that there is much more at stake in this crisis of geopolitical nature even if it is not making the headlines in the media : these migration flows can also considered as a "geopolitical weapon" in the hand of external countries to European Union. It has been already discovered that The Islamic State was using this migrations flows to infiltrate terrorists, proceed to Islamists propaganda within refugees camps. However, the interest of the United States and Turkey in these migration flows have not been extensively exposed. In relation with the Syrian civil war, these migrations flows are weakening the Bachar el Assad regime as many potential combatants are fleeing the country, and this suits Turkey's interests as it pushes for regime change. The migration flows are also a instrument of blackmail with the European Union and a factor of Islamization of Europe in the longer term and this suits president Erdogan views. The wave of migrations is also from the Turkish point of view a consequence of the absence of support from Europeans Union Members States to create safe zones in Northern Syria. As far as Europe is concerned, maintaining a constant flow of migrants to Europe is also viewed as advantageous for the "liberal economic" model, as it lower salaries with cheaper workforce and maintains demography to have more consumers. More critically, it also changes the ethnic balance of Europe and fragment more and more European societies, leading to a destruction of their traditional and national identity. Euro-utopists and American strategists share an alliance in this crisis : the Euro-federalists takes this crisis as an opportunity to accelerate European integration as national identities and nationalist ideology are seen as an obstacle (As Georges Soros stated). This can be done by forcing mixing of populations from different civilizational background to create a new "Homo Europeus". If we go more far with the geopolitical hypothesis, migration flows are a weapon to subdue European citizens to the unipolar and globalist approach of the United States and its Euro-atlanticist closest allies. 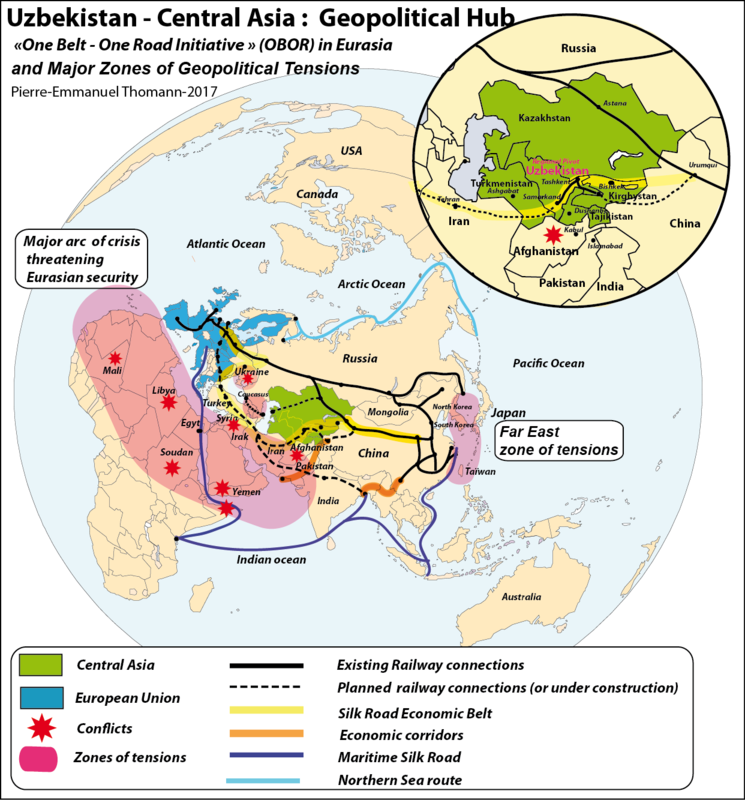 If European nations historical identities dissolve themselves because of mass Muslim migrations from Middle East, Turkey, Maghreb, South West Asia, Africa, it will be more and more difficult for Western European nations like France, Germany, Italy, Spain and Central and Balkan European countries to find closer cooperation with Eastern Europeans, mainly Belarussians and Russians, more attached to European traditional values. It comes at a time when Central European states stress their growing scepticism to over-individualistic, ultraliberal, secularist and immigrationist policies from the Western model, and when many opposition parties in EU Member States are more and more attached to the preservation of the nation state model, are willing to curb Muslim immigration, are attracted by traditional and patriotic ideologies and are willing to push for a multipolar world. We are here witnessing the clash between two models of Europe close to what the general de Gaulle used to describe as an "American Europe" versus a "European Europe". The support to migration flows can therefore be interpreted as an instrument to prevent a continental wide cooperation of European nations based on sovereignty, traditional values, Christianity, and a more mixed and balanced economic model between the state and private sector (with Hungary and Russia as models of "illiberal States" ). They push European nations in the longer term towards the Euro-Atlantic geopolitical space characterized by multiculturalist and ultraliberal ideologies based on the American globalist model. The ultimate objective is to keep United States as the leader of the Western world and prevent multipolarity to emerge. The German-Turkish plan to curb migration from Syria, but to channel it in a more legal way, in exchange of delivering free visa for Turkish nationals in Europe suits also American interest as it would make Europe more and more intertwined with Turkey characterized by a more strong demography. This is in line with American plan to enlarge EU to Turkey to achieve the "American Europe " model (EU enlargement to all Council of Europe members except Russia). It is therefore not surprising that NGO's, globalist organizations and think tanks like the European Stability Initiative are behind these proposals to promote an "open border", ultra-liberal, multiculturalist, and Atlanticist Europe. Chancelor Angela Merkel cannot pretend to exert alone the political leadership in European Union and president Erdogan has lost credibility to be a reliable partner for EU. The scenario proposed by Angela Merkel and her liberal allies, the Dutch presidency and European commission, is therefore doomed to fail in the longer term. The elections in Germany on the 13th of March have also clearly sanctioned the "welcome refugees " policy from Angela Merkel by German voters with the rise of the AFD party in Sachsen Anhalt, Baden Württemberg, and Rhineland Pfalz. The likely scenario of the migration crisis is a worsening of the situation next spring, and this is why the recent closure of borders from Central European and Balkan countries won't be lifted, even if Angela Merke and the EU commission urge them to do so. The external borders of EU are very difficult to control since President Erdogan is not a trustful partner and the situation in Syria is not yet stabilized. New migration flows might also surge from Libya or from the collapse of another African or Maghreb state and new migration routes will materialize. It is also difficult to dry radically the migrations flows as long as the government of Angela Merkel does not deliver a very strong message with a U-turn from her "welcome refugees policy" and does not close its borders. The distribution of migrants among Member States is not functioning so far. The implementation of the new German-Turkish deal would also be very difficult to implement for practical reasons according to Eurojust, the EU’s judicial cooperation agency. It would also split EU, because there is no way Central Europeans can accept legal and permanent quota of migration flows. and France and Cyprus refuse to accelerate a visa deal with Turkey. Cyprus cannot accept either the opening of new chapters of negotiations when Cyprus reunification negotiations are not completed. 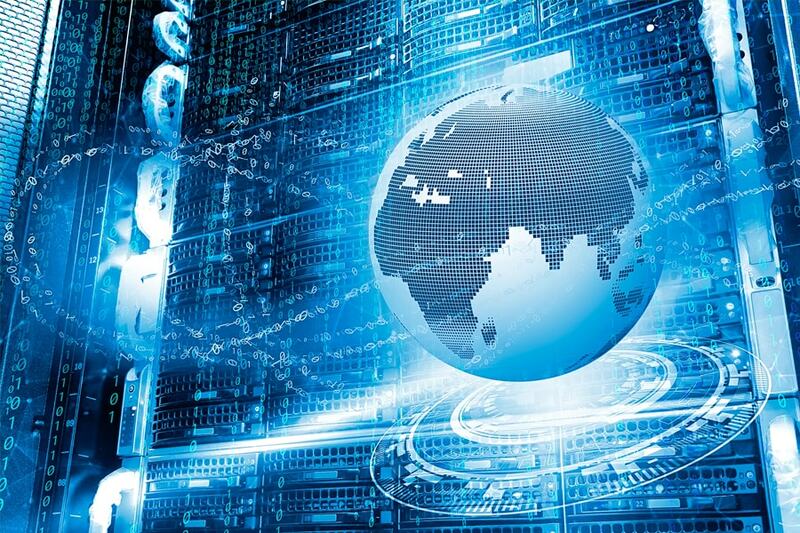 Moreover, it is easy to understand that if legal and direct migrations flows are accepted today, it will create a precedent and some governments and NGO in the refugee business will always ask for more. EU Member States would be forced to shelter refuges (mixed with migrants) each time a new war explodes in the geographical proximity of EU and there are plenty of potential wars close to EU borders. It is a only a question of time that citizens will push more and more for the freeze of Schengen agreements as clashes like in Cologne in Germany, attacks on refugees temporary homes (like in Germany and Sweden), or terrorist attack will make the situation more tense and uncontrollable. If Germany does not close its national border, it is likely that more and more countries around will do so anyway and Schengen will de facto continue to collapse. The EU institutions and Member States will probably try to imagine a "legal fiction" to preserve the Schengen agreements stressing that borders are "temporarily " erected again in order not to damage EU image too much. But as national borders are erected again, it will be very difficult, even in two years time, to apply Schengen and free circulation again as crisis will probably continue to surge in EU geographical proximity and migration pressure can only rise with time (some experts are predicting that more that 10 millions of migrants from Middle East and Africa could reach EU in the next few years, without to mention in a longer term perspective the migration pressure from Africa as population will be rising to 2, 5 billions around 2050 when EU stagnates at 500 millions). According to many experts and military circles, new Islamist terrorist attacks will occur in Europe, making more clear the link between security and mass migration (the governments of Germany and France avoid the subject). A new terrorist strike might accelerate the collapse of the Schengen agreements. The German government is more and more isolated in EU, and might change course under rising pressure from German citizens, combined with the drifting of other central European Member States opposed to immigrationnist policies. France is also likely to renegotiate Schengen agreements after 2017 presidential elections. First of all, for the sake of the Franco-German cooperation in the future, the French government should stop any deal which has not been approved by a previous Franco-German deal. It is time for French government to show its red line with the government of Angela Merkel. It is time for EU to negotiate with Turkey in a more tough position. A way to do this is to put in the balance the freezing of the Customs Union and the financial subsidies in the framework of enlargement negotiations if Turkey continue pushing for migrations flows from its territory to Europe, and at the same time bombing the Kurds who are the most efficient to fight against the Islamic State. The money supposed to be channelled to Turkey would be more useful to help Greece in making the border with Turkey less porous, event if it leads to a diplomatic crisis. It would at least finally clarify the relations between EU and Turkey and show the European red lines. This money would also be used to finance the return of Syrian citizens in their own country with reconstruction projects, and finance decent live of refugees in hot spot camps in Greece and Italy before they can come back to their country. On the external front, as long as the Syrian crisis drags on, there is little chance to curb the migrations and the risk of their instrumentalization by the Islamic State. Instead of being subject to blackmail by Turkey, a more simple and realist solution would be to provide as soon possible more stability on Syrian territory to dry migration flows. It is then necessary to push for a more serious deal with the Syrian official regime, Iran, Russia and the USA, and support them in the stabilisation of cities and territories liberated from Islamists rebels. Bedeutet dies, dass sich Deutschland damit von der notwendigen Reform des europäischen Asylwesens abwendet? Nein, im Gegenteil. Eine solche Reform kann nur gelingen, wenn die akute Krise unter Kontrolle ist. Erst dann kann Berlin fordern, dass von jetzt an jedes Jahr bis zu 100 000 Flüchtlinge, die die EU erreichen, verteilt werden – als Preis für Schengen und Ersatz für das Dublin-Regime. Dies entspräche der Anzahl von Menschen, die vor 2014 im Durchschnitt jedes Jahr die EU Außengrenzen überwunden haben. Gelingt es Merkel aber nicht, in den nächsten Wochen einen Plan zu entwickeln, der Ergebnisse zeigt, dann führt dies zum weiteren Erstarken jener Kräfte in der EU, die das Asylrecht überhaupt abschaffen wollen; jener, die gegen Flüchtlinge, die EU, die Türkei, für Putin und gegen Muslime agitieren. Deutschland, Europa und die Türkei brauchen einen Merkel-Plan B. Darüber müssen Merkel und Davutoğlu reden. “Contrary to EU opinion, migrants leaving Turkey is a dominant idea favored by the Turkish government and people — i.e., they support smugglers getting immigrants leaving Turkey,” it states.